Together Though Life, produced by Jack Frost, was prompted by the composition of a new song, “Life Is Hard,” which was written for a forthcoming film by French director Oliver Dahan (La Vie En Rose). Bob Dylan’s latest studio album was recorded late last year and features 10 new songs including “Beyond Here Lies Nothin’” and “It’s All Good." The new album will be the 46th release from Bob Dylan, and follows 2006’s Platinum album Modern Times, which debuted at #1 on the Billboard Top 200 and reached the top of the charts in seven additional countries and the Top 5 in 22 countries around the world. 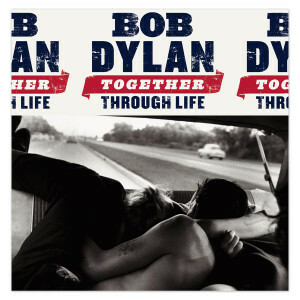 Bob Dylan’s three previous studi albums have been universally hailed as among the best of his storied career, achieving new levels of commercial success and critical acclaim for the artist. The Platinum-selling Time Out Of Mind from 1997 earned multiple Grammy Awards, including Album Of The Year, while “Love and Theft” continued Dylan’s Platinum streak and earned several Grammy nominations and a statue for Best Contemporary Folk album. His most recent studio work, Modern Times, became one of his biggest albums worldwide, selling more than 2.5 million copies and earning Dylan two more Grammys.